Happy Tuesday friends! 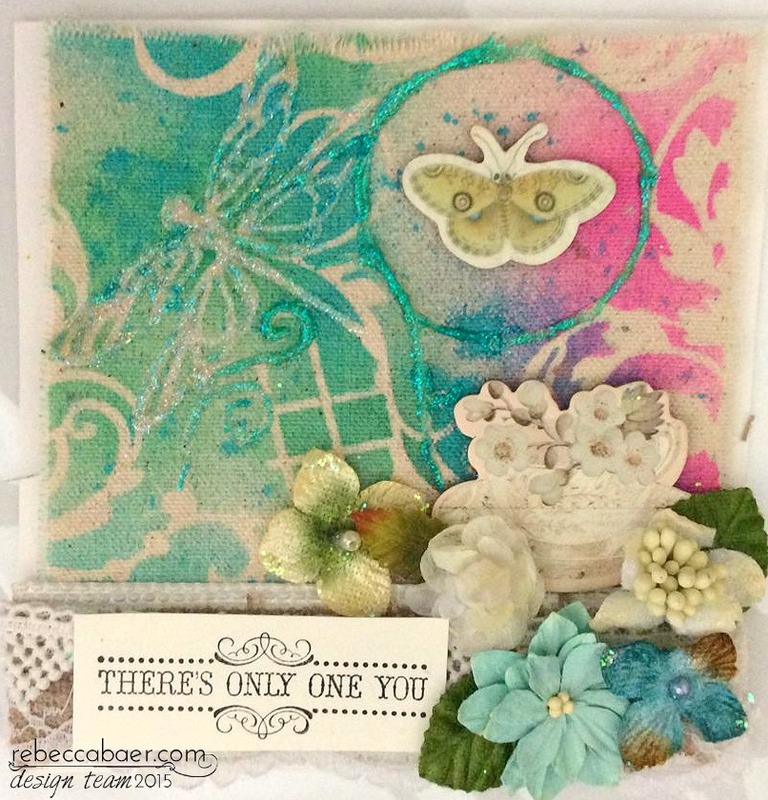 I have a fun, fabric, floral card (and a bit of alliteration as well!) to share with you today. 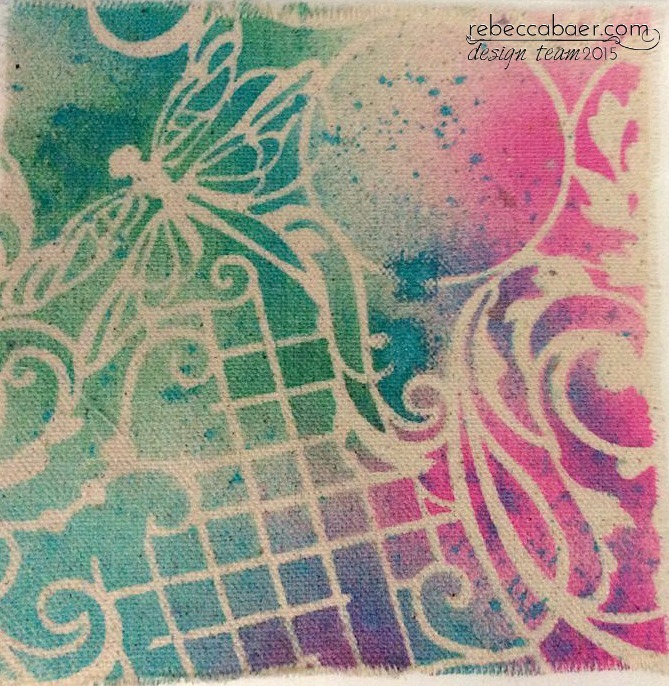 I have created this card for rebeccabaer.com and used the Dragonfly Fantasy Stencil on top of some white canvas type fabric. 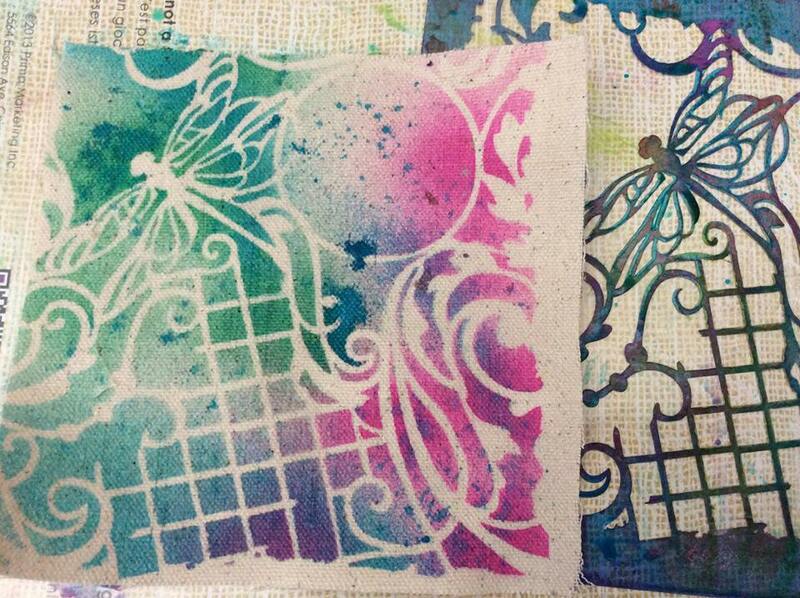 I used my Radiant Rain sprays from ColourArte to spritz over the stencil. I used three different colours of the mica sprays. I love Rebecca's Stencils as they are thinner than other stencils and this gives such a crisp print on paper, canvas and this time on fabric. It didn't even bleed into the fabric, which is most impressive! 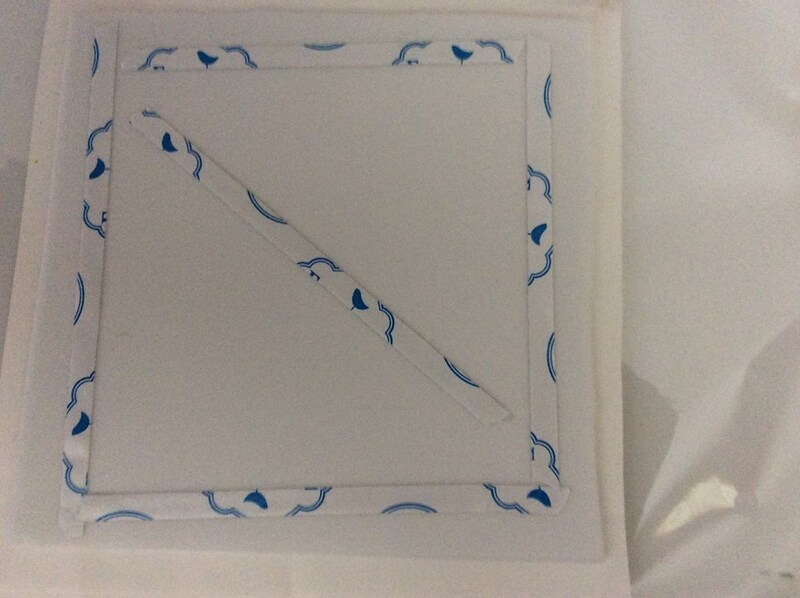 I used some fun foam from my stash and some double sided tape on a 5 1/2'' by 4 1/2'' white cardstock base to pop up the fabric base on the card. 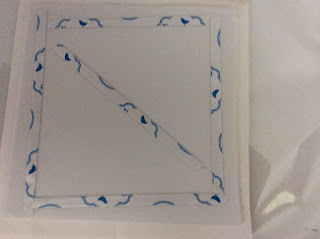 After the fun foam was adhered onto the card base, I used more double sided tape with a bit of fabric glue to attach the fabric on to the fun foam. Once it was glued down I got out some Stickles in Peacock to add some glitter and dimension to the card. I then layered on some burlap and lace and a sentiment for the card on top of it. The last step was some Prima chipboard and some lovely muted tone flowers. I hope you like my card, it was fun to make and very simple. Rebecca's stencils really are the star of the show here, and using them on fabric is another way to get more mileage out of your stencils!